Looking for Atlanta attractions? What you want to see and do will probably be influenced by the ages of the visitors. Will you be visiting Atlanta with kids in the near future? Rest assured that you and the little ones will find many amazing things to see and do! Whether it’s great outdoor activities or indoor fun, Atlanta attractions will amuse, amaze, and educate kids of all ages. You can see some great art, learn more about history, stroll beautiful gardens, see wild animals in natural-looking habitats, take in great sports events, or just have some plain ol' family fun. 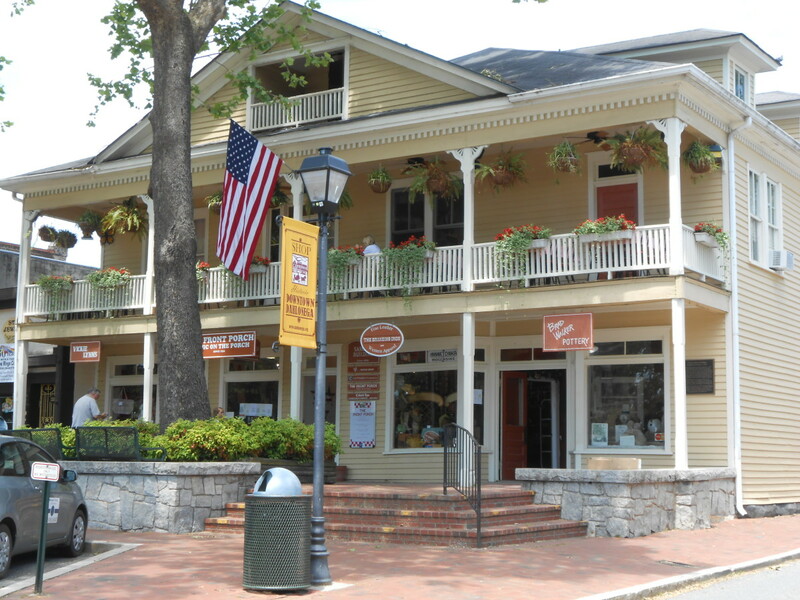 And after you're tired and hungry from all your adventures, you'll have some great choices of Atlanta restaurants and Atlanta hotes for practically any budget. Check out these Atlanta attractions! Pet a shark at the Georgia Aquarium! This is definitely one of the must-see Atlanta attractions! 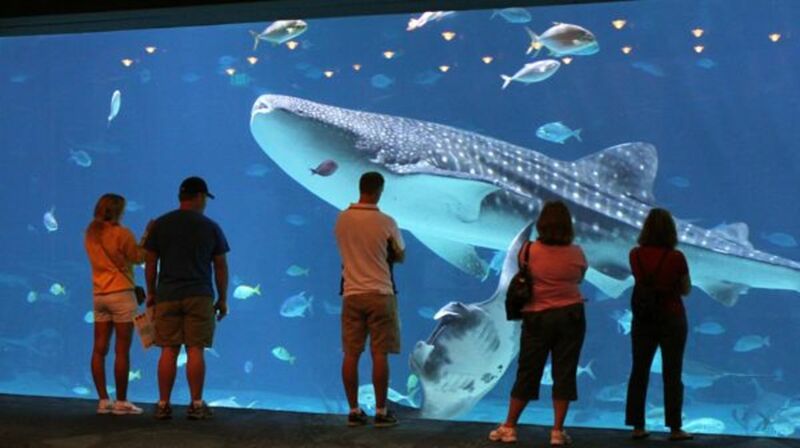 It’s the largest aquarium in the world, and kids of all ages will be absolutely mesmerized! They’ll be amazed by the glass tunnel, as fish swim over them and all around them. 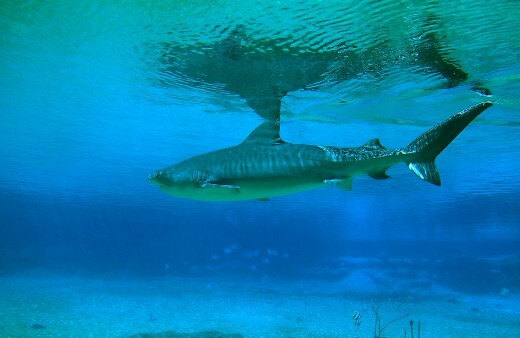 Just about everything that swims can be found here, including penguins and sharks. There’s a play area just for kids, and touch tanks where the aquatic critters can be felt. They can even pet a shark! Plan on spending several hours here. 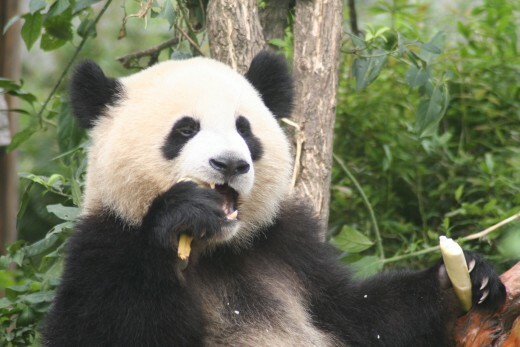 Zoo Atlanta has giant pandas! Zoo Atlanta is a wonderful Atlanta attraction. Kids can marvel at the antics of the animals, ride the train and the carousel, make furry friends at the petting zoo, and learn rock climbing. Interactive exhibits and shows will teach them a thing or two, also, in a totally enjoyable way. If the kids tire of looking at the animals, turn them loose on the playground to unwind. Plan on at least three hours, minimum. Actually, I could spend the entire day here! This is one of many Atlanta attractions in Buckhead. Think your kids will be bored at a garden? Think again! This one has all sorts of stuff for kids, including a dragon, a caterpillar tunnel, waterfalls, slides, play fountains, and a cave full of gnomes! Kids will love climbing the animal statuary and searching for frogs and birds. Plan to spend at least a couple of hours here, and bring bathing suits for the children! Atlanta attractions include great sports venues, games, and tours. If you have kids in tow who are sports fans, take in a game at Philips Arena, the Georgia Dome, or Turner Field. Even if the Braves aren’t playing while you’re in Hotlanta, a visit to the stadium is still in order. This is especially good for older kids. Tours of Turner Field include stops at the Braves Museum and Hall of Fame, the dugout, the Sky Field, the press box, the clubhouse, Scouts Alley, and the broadcast booth. The tour takes about an hour, and no reservations are required for groups less than 20. And don't worry, you'll be able to find Atlanta hotels near Turner Field! 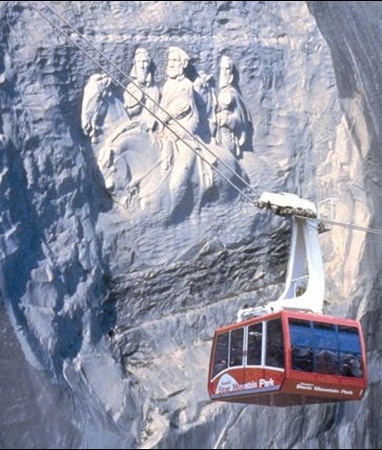 Stone Mountain is one of the most popular Atlanta attractions. It’s worth the short drive to this place just to see Stone Mountain itself, along with its huge carving. But there’s so much more! The family can hike up the mountain, cycle, fish, walk a nature trail, ride the skylift, ply the lake on a paddle wheeler, and play on one of the obstacle courses. In the winter, there’s Snow Mountain, with plenty of manmade snow and a 400-foot hill to tube down. Pack a lunch and spend the day – you’ll find lovely picnic spots! Stick around for the fireworks – the largest laser light show in the whole world! 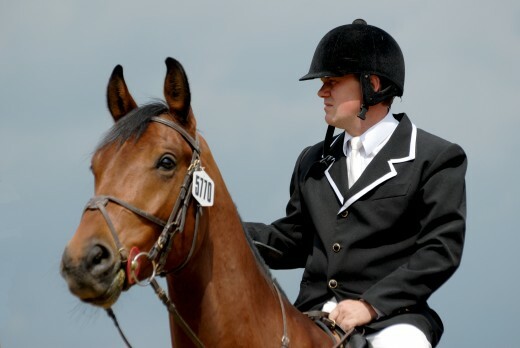 Learn to ride or watch a horse show at Chastain Horse Park. If you’re in Atlanta with a horse lover, take them to this wonderful horse park. They offer therapeutic riding programs, plus lessons for the public and pony rides. The facility itself is historic – it’s situated on thirteen acres that was once the original 1939 Buckhead Stables. You’ll find four barns, four arenas, a photography studio, and a tack shop. Check their calendar for horse shows and other equine events! Older kids would love to attend a live performance at this wonderful facility. 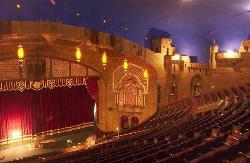 Regardless of the show, just a visit to the Fox Theatre is an adventure in itself! Built in the Roaring Twenties, the Fox resembles a mosque, complete with opulent Moorish furnishings, a huge Bedouin canopy, exposed beams, turrets, and a faux night sky with twinkling stars. Catch a performance of Mama Mia, Young Frankenstein, Annie, or the Moscow Ballet, or take in a concert by B.B. King, Celtic Woman, or the Moody Blues. Six Flags has something for every age group! 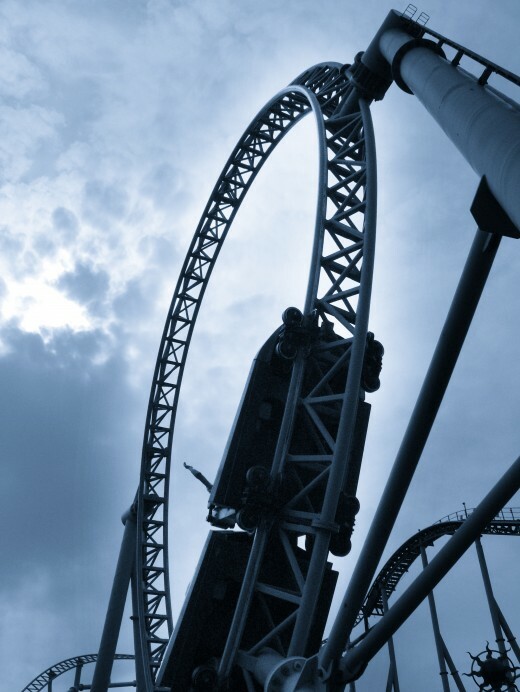 For 2010, Six Flags will open on March 6th and close on October 31, so if you’re in Atlanta during this time, ya gotta take the kids to this super fun amusement park! Little kids will love Thomas the Train ride, Thomas the Train Playground, Monster Mansion, the Bat Mobile, Bugs Bunny World, the 100-year-old carousel, the Log Flume, the Tweety Ride, and the kiddie roller coaster – Wile E. Coyote’s Canyon Blaster. Older kids will thrill to the Ninja, the great American Scream Machine, the Georgia Cyclone, the Mind Bender, and the Georgia Scorcher. With live shows, eateries, games, Loony Tunes characters, and shopping venues, you’ll want to spend the whole day! Atlanta has hundreds of great hotels! You’ll find plenty of Atlanta hotels and other Atlanta lodgings that are kid friendly, including some of the best Atlanta hotels. 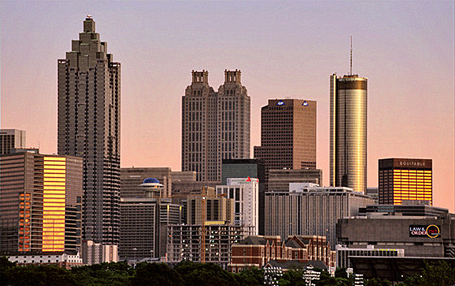 Several of the Atlanta hotels offer package deals that include tickets or V.I.P. tickets to Atlanta attractions. 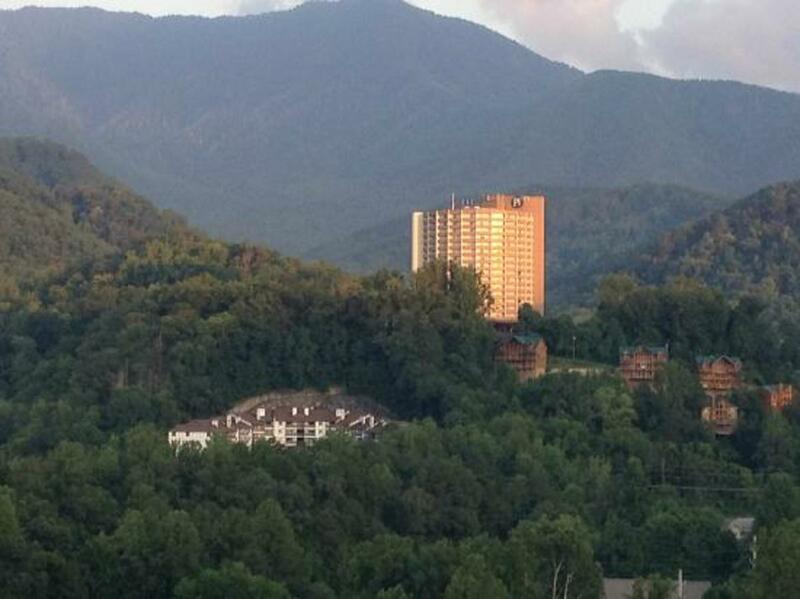 Some of the Atlanta hotels are within walking distance of attractions, too, so you won’t have to drive or hire a taxi. You'll find hotels near Turner Field, hotels near the Georgia Aquarium, hotels near the Fox, hotels near Stone Mountain, and lots more. Some of the downtown Atlanta hotels and the midtown Atlanta hotels even offer special gift packages for the kids upon check-in, and at some, kids eat free! Click the links below for specific information on Zoo Atlanta, Stone Mountain, Atlanta midtown hotels, and Atlanta downtown hotels. GA Renaissance Festival: A Jolly Old Time, with Great Videos! My kids just visited the GA Aquarium, so I'll be writing a whole hub about it soon! Habee, Great virtual tour! 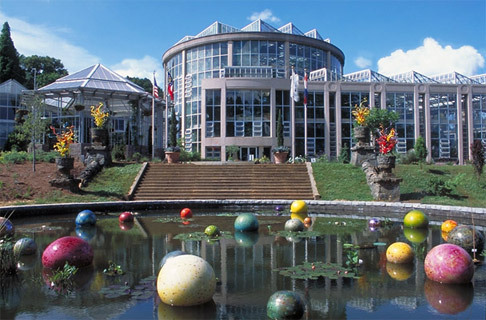 The Botantical Gardens and the Aquarium looks like winners! Luv those Orchids! Thank you for sharing, Blessings! Gpage, take them to the Aquarium, too! And Stone Mountain has Snow Days now! Thanks, Sandy. Nice of you to visit! Great Hub! It looks so inviting. Ethel, Atlanta is truly amazing. I'm hoping to go to the Fox soon - maybe to see Celtic Woman. Jeremy, I'm not a NASCAR fan, but Hubby loves it. Glad you stopped by! Maita, Stone Mountain Park is great. They used to have horses there to ride. CNN Center is fun, too, especially at Christmas. Thanks for reading! Hi, HH. Atlanta is fascinating, but the traffic is terrible at times. We're only 3.5 hours away. And...NASCAR goes to Atlanta twice a year!!!! Thanks for the great info. Great hub.This trip sounds marvelous! That must be lovely. Thank you, habee, for the hub and pictures. Great, Nancy! My grands are going this weekend! Great hub. We're planning on taking the kids to the aquarium this summer.